It’s finally Thursday 3rd January 2019 and it’s officially Gotham night. I feel that this season in particular is highly anticipated for two reasons. 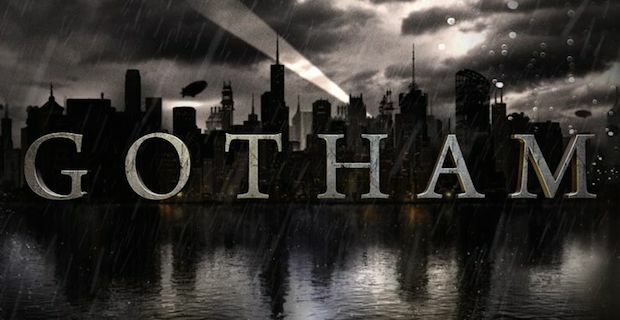 It’s the final season and season four left us with the government declaring the city of Gotham as a no mans land. Producer Danny Cannon is back in the directors chair for the final time this season. Gothams executive producer John Stephens has penned this episode. The opening scene completely took me by surprise. Gotham is definitely a no mans land and the first time jump in this episode is Day 391. In Gothams own unique way they use the iconic song “we’ll meet again“ by Dame Vera Lynn. The record player fills a grand room filled with books as Edward “The Riddler” Nygma removes a playing card from his hat and smiles in his own knowing way. Nygma places the card which has a prominent green question mark on the face of the card. He approves of his appearance in the mirror and picks up an automatic weapon. Oswald Cobblepot has a small team appling the finishing touches to his appearance. He checks a large knife which is then slipped into his leg brace. One of Oswalds men places a pair of red lensed glasses on his face. Penguin also retrieves an automatic weapon. A bar in Gotham is lit with glowing candlelight. 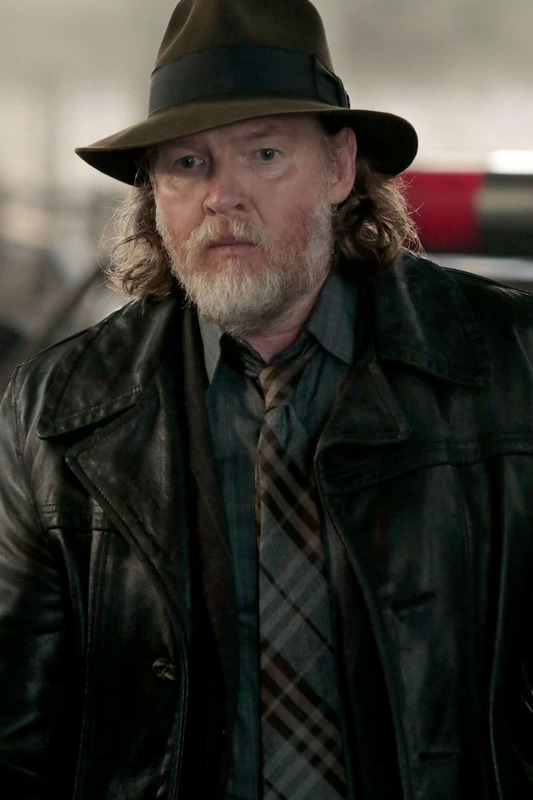 Detective Harvey Bullock ( Donal Logue) sits alone and raises a glass of whiskey. Captain James Gordon ( Ben McKenzie) picks up his GCPD badge and attaches it to his bulletproof vest. With the continued glow of orange light behind him Jim stands for a moment with another automatic weapon. These opening scenes are beautifully filmed and have a majestic way about them as four of our main characters meet. 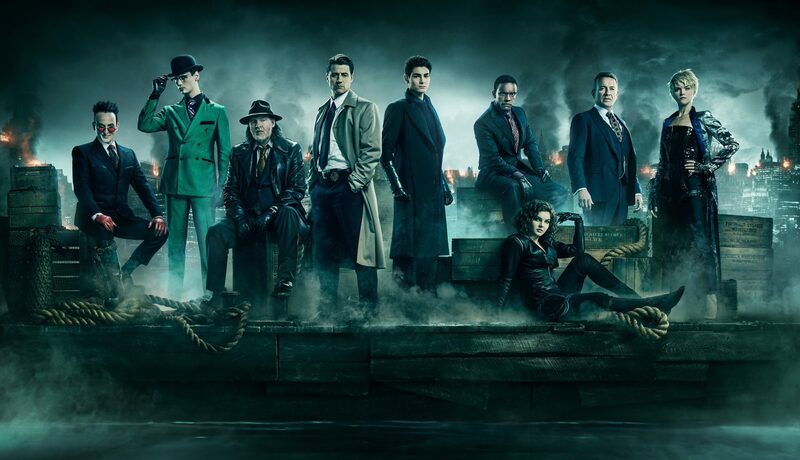 Other GCPD officers are waiting for Jim’s command as he looks over a wall “fire on my command” Everyone positions themselves as Jim calls out “for Gotham.” As the camera pans out to show Ed, Penguin, and Harvey have joined in firing bullets on the people below. Which looks like an army. A map of Gotham city is laid out in front of Captain Gordon. His only connection to the outer boundaries is through radio. With frustration in his voice Jim explains how the villains took over various territories. The plot of this episode is straight forward and to the point. Penguin immediately took over city hall and control over the armouries. Barbara Keane still has The Sirens and has the largest stock of food and alchol. Barabra trades in information and keeps it a man free zone. Men are let in but they pay for allocated time and if they don’t leave that’s where Tabitha Galvan ( Jessica Lucas) steps in. Jonathan Crane aka The Scarecrow has his own territory with a growing gang that will steal to survive. Mr Freeze and Firefly have the north territory. Then there is the GCPD who is looking after 150 cilvians over ten blocks. Tensions are running high between some the civilians as they believe the food is not being distributed fairly. Lucius Fox steps in to explain calmly just before Detective Bullock get himself into a fiery situation. Camren Bicondova has never failed to impress in her scenes. We have seen moments where Selina Kyle has been down on her luck, these scenes because of the injury caused by Jeremiah Valeska shows us Selina in her darkest depth of depression. Selina needs another operation to avoid further paralysis. Alfred and Selina didn’t make it out of Gotham in time before the bridges exploded to another hospital. The Surgeon that is discussing Selina’s condition with Bruce and Alfred is confident that this will help her condition. 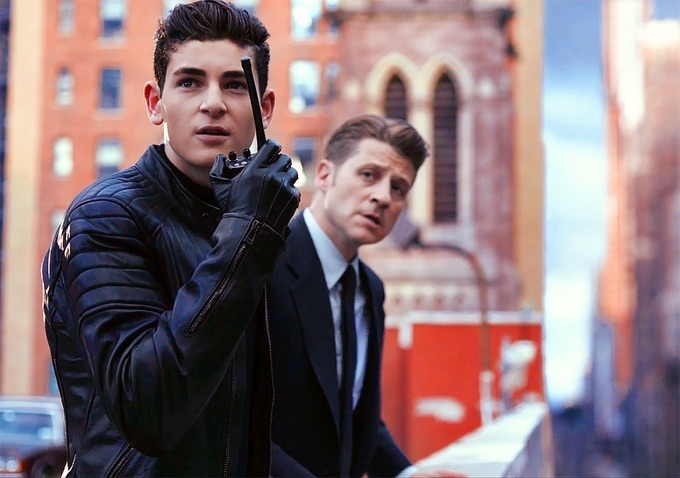 Selina is laid on her front facing away from Bruce, David Mazouz as the increasing mature Bruce Wayne doesn’t hold back in his compassion in reassuring Selina that he isn’t going anywhere. Tears pour down her face. Lucius Fox (Chris Chalk) discusses with Jim and Harvey they only have a months worth of supplies left. It will be less if more people arrive looking for help. Harvey swears he is never paying taxes again after Jim tells him that no help is coming and no one is leaving. Lucius wants to know what do they tell the people; Jim responds with the government are rebuilding the bridges to rebuild the city. But the truth is they are on their own and Jim’s priority is keeping everyone alive including themselves. Harvey feels they are sitting ducks especially with Penguin having control over the armouries. The start of Edward Nygma’s story is fascinating, dark and humorous. Long hair Ed is waking up in unexpected places. Ed records his thoughts of his advents of waking up in strange places. On this occasion he has woken up on a roof top with no idea how he got there. 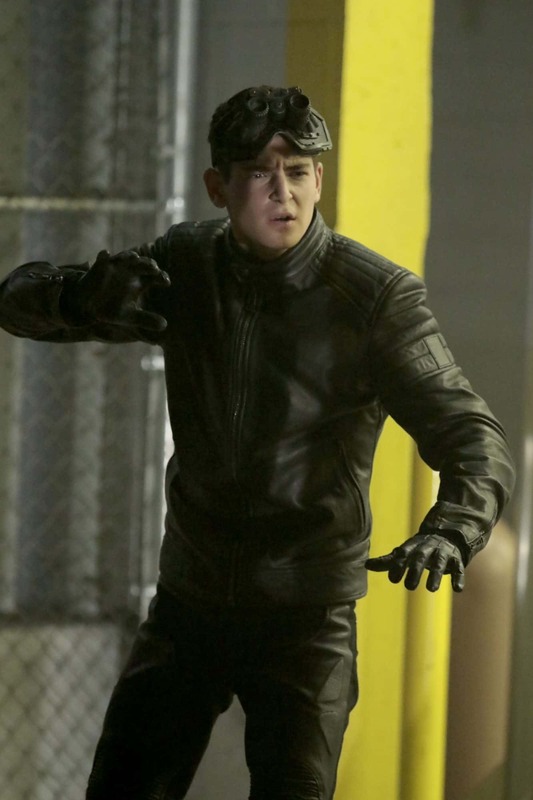 I love watching Cory Michael Smiths Riddler and the fury he shows at not understanding what is happening to him is a real treat to watch on screen. Ed catches sight of himself in the mirror, he stops recording his thoughts and he demands he shows himself. What is incredibly interesting about this scene it’s The Riddler asking Ed to show himself and accuses him of being a coward. Riddler is convinced that it is Ed is controlling him when sleeping. Riddler returns to his map and studies the pins of where Ed has taken him. One of my favourite guest characters from season 4 is back. Mr Arthur Penn ( Andrew Sellon) in his own professional and direct way places a 9mm bullet in front of Barbara. Oswald Cobblepot is offering 1000 rounds in exchange for 1000 pounds of grade A steak. Barbara is assuming what she hears is true that things are becoming baron for Penguin where he is. Mr Penn insists this isn’t true as Mr Cobblepot just has a taste for steak. Tabitha is still wanting revenge on Penguin for killing Butch, so she disagrees with Barbara and doesn’t want to trade anything. Barabra is trading for something they need, she isn’t asking Tabitha to forget what Penguin did but she wants to protect the women that come to The Sirens. Tabitha warns Mr Penn that Penguin will regret the trade of bullets for steak as Barabra increases the order to 3000. Two GCPD officers are out on their evening patrol. One of the officers is sure he has seen a shadow through a window in the gate that protects their perimeter. This scene made me jump as Scarecrow (David W. Thompson) appears at the window. With fear toxin sprayed in the officers face he persuaded him to open the gate. 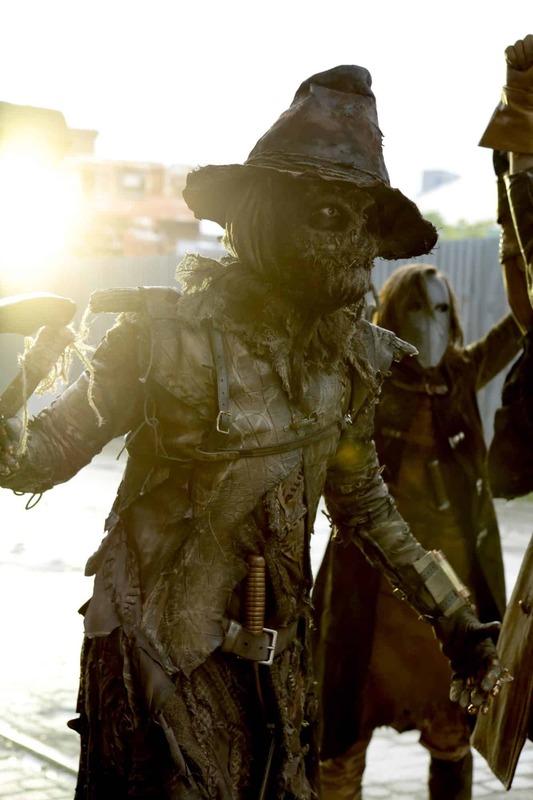 The other officer is murdered by Scarecrows reaper as he orders his gang to spread fear. Jim is going through the protected areas with another of my favourite guest character Detective Harper (Kelcy Griffin), as he wants to be ready for Penguin. The power cuts out in the GCPD. Jim orders Harper to find Lucius so he can meet him by the generator. Jim is also downstairs in the basement of the GCPD. The generator sparks and Jim moves towards it cautiously with his weapon drawn. The sound of a blade hitting metal makes Jim turn quickly and he is face to face with Scarecrow. Who claims to know what Jim is thinking about the limited amount of bullets is it worth wasting on him. Jim agrees and grabs a metal bar and asks why Scarecrow is there as Jim knows he doesn’t want the generator so it must be their supplies. Scarecrow agrees but he is also there for Jim’s life. Scarecrows interaction with Jim was just a distraction so his gang could steal food. Harvey with some other officers shoot and scare some of the men away but it’s too late they got the food. Bruce is using the night vision goggles at the hospital to watch the intruders. One of them gets spooked and Bruce knocks him out. Another of the gang is calling out, Bruce surprises him but he sprays Bruce with some toxin and escapes. Food supplies have now dropped dramatically as they only have enough for 1 week. Jim orders the food to be rationed in half, Lucius is concerned that the people won’t be happy. Harvey lives in the real world and hasn’t been happy for the last ten years! Also he would like the people they are helping to remember they choose to stay. Jim wants to tell the people something and Bruce turns up with an answer and a offer. He can get one of the helicopters from Wayne Enterprises filled with supplies. The government won’t allow it but Alfred has already radioed through. It’s a one time only situation. Bruce explains that Scarecrows men not only took food but medicine and there are people in pain. When left alone Jim can see Bruces worry and compassion for Selina, Jim believes she is strong and will get through this. Bruce is at Selina’s bedside listening to her as she has been told by the doctor the operation was a success. Her spine won’t turn to jelly but she will never walk again. Bruce understands Selina is in pain and reassures her that more medication is on its way. What Selina finds amusing is that Jeremiah shot her to get Bruce. After everything she has done for Bruce being his friend has done her no favours. Selina just wishes Jeremiah had just killed her. As Bruce leaves a nurse, a spooky looking nurse tells him that Selina needs The Witch? Who exactly is The Witch? Oswald Cobblepot is having a leg brace fitted on his right leg. He is impressed at how it feels and his limp has almost gone. Oswald feels a knife in the side will finish it off. Mr Penn arrives with an urgent announcement that there has been another shut down at the factory, a worker fell into the hydrolic press because he passed out with hunger. Mr Penn is worried that if Oswald doesn’t increase the food allowance this will happen a lot more. Oswald can’t give what he doesn’t have, he says this while cutting into a prime piece of steak and throws a tantrum when it’s been over cooked. Oswald has a new friend in his life an adorable English bulldog called Edward. I wonder if he has been named after someone? Oswald lets Edward finish the steak whilst Mr Penn continues to discuss the poor quality of ammunition that is being made as some of the bullets are misfiring. Oswald fires his gun which just happens to misfire and proves Mr Penns point that the quality needs to be improved. Oswald tells Mr Penn to be quiet as he can hear a noise in the distance it’s a helicopter. Barabra and Tabitha are having a heated discussion about Penguin. Barabra understands that Tabitha misses Butch but Tabitha is not really sure if she does understand how much. Tabitha wants to make it right but Barbara can see Tabitha getting herself killed and wants to know how she can avoid it. They stare silently between them as Tabitha notices the sound of the helicopter. Jim and Bruce are on the roof as the helicopter makes it way into Gotham. Bruce uses the radio to let the pilot know he is at the GCPD. This next scene is how Gotham as a television show separates itself from other shows. The special effects is one of the many standards it sets and the helicopter being blown out of the sky is absolutely jaw dropping moment. But who is responsible? Jim orders a team straight away to make to the crash site. The helicopter went down in the Lowz Boys terrority. Bullock and Harper are going with Jim to the crash site but they have limited ammunition. Jim asks Alfred where Bruce is. Alfred and Jim have had always slight difference of opinion when it comes to raising Bruce so Alfred is quick to remind Jim that maybe Bruce would think that Jim wouldn’t allow him to come along. The Lowz Boys are already collecting up as many supplies as possible when a speeding car arrives. Oswald Cobblepot is the first to arrive with his men. The leader of the Lowz Boys reminds Oswald he is on someone else’s turf. But that doesn’t matter to Oswald as he is there to claim the contents of the helicopter. The gang refuse to let Oswald claim the load and Oswald orders his men to gun them down. 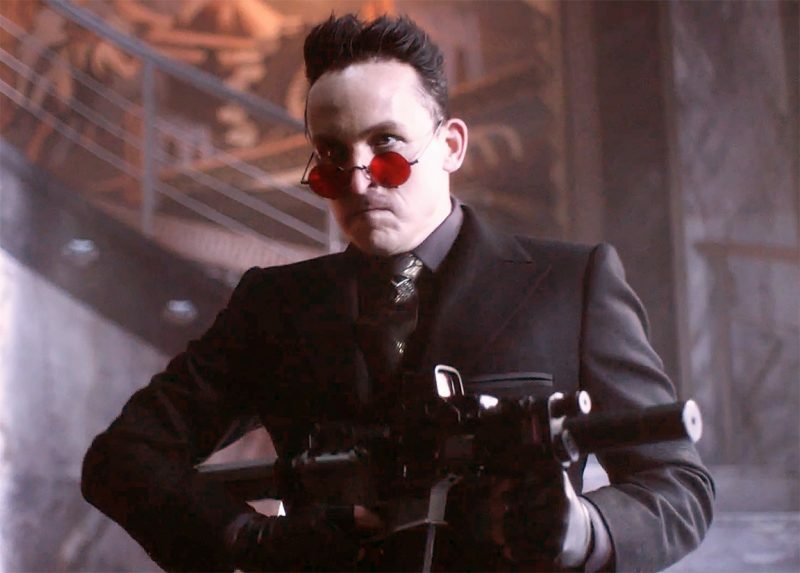 One thing that is very noticeable about Oswald Cobblepot this season is extreme amount of confidence. This confidence is different to other seasons and I love it. Robin Lord Taylor has been very open and honest that he wants Penguin to become a monster by the end the season and I think already in this episode he is 80% there. Oswald is always happy to see his old friend Jim Gordon. He asks how Jim is coping in these troubled times, what Jim and Oswald don’t see is Bruce Wayne sneaking in. Jim orders Oswald away from the helicopter but Oswald refuses as he also has mouths to feed. Jim automatically accuses Oswald of shooting down the chopper which would make sense as he access to the amount of firepower. Oswald isn’t lying he didn’t even know the helicopter was on its way but Jim makes a fair point but Oswald would definitely admit to it as he won’t be arrested. Harvey points out they have limited firepower so maybe they should let Oswald walk away with the supplies but Jim is reluctant. As Jim stares Oswald down arrows are fired out of nowhere hitting some of Oswalds men. Tabitha has arrived and she manages to sneak up on Penguin and puts a gun to his throat. Oswald pleads that he was Butch’s friend but Tabitha doesn’t see it that way and calls Oswald a liar. Oswald reminds Tabitha of the time she put a knife in his mother’s back so Butch’s blood is on her hands. Tabitha is determined not to walk away empty handed. Oswald pleads to Jim to stop Tabitha killing him in cold blood as he thinks he is also providing stability like Jim in Gotham. Tabitha pushes Oswald at arms length and places the gun on his heart. Oswald admits to pulling the trigger on Butch but he still tells Tabitha that she killed Butch. Tabitha tells Oswald to shut up and die, the bullet in her gun misfires. Oswald bends down while laughing and removes the knife from his leg brace. As he aims the knife over Tabithas heart, Oswald chuckles that he needs to have a word with his foremen and wants Tabitha to say hello to Butch. With no remorse Oswald stabs Tabitha in the heart as a blood curdling scream is heard from Barabra. How do I feel about Tabitha being killed so early in the season? Tabitha death has come earlier then I expected but I am not surprised. Oswald would definitely take the first opportunity to take Tabithas life. It also wraps up nicely this ongoing revenge story arc since the middle of season 2. Barabra stands and watches her closet friend die in front of her. The instant grief and anger that comes over her face is extremely well acted by Erin Richards. She wastes no time in drawing her gun and firing in the direction of Penguin and his men. The GCPD fire back at Oswalds men, Jim and Harvey are both out of bullets. Oswald very confidently mentions that is gone very quiet over in the GCPD section. Bruce in the meantime has gone outside and ambushed two of Penguins men. A truck with a picture of Penguin on the outside holds a lot of needed ammunition in which he takes and gives to Harvey and Jim. Barbara reloads her gun to carry on shooting but Oswald clips her arm to stop her. For the record the way things have turned out is not how Oswald wanted them to. Barabra isn’t listening and in her fury she wants to rip out Penguins heart for what he has done. Oswald wants Barabra to be quiet as that kind of talk is what can force his hand. For old times sake Oswald wants to give Barabra a chance, he wants to move past this whole Tabitha and Butch chapter. Barbara just wants to feed Penguins guts to the rats, so Oswald takes that as a no. Jim has a plan and asks Harvey to cover him. Jim has decided he wants to make a deal. He is willing to spilt the contents of The helicopter 50/50 with Oswald and he is to let Barabra go. Barabra doesn’t agree as she doesn’t think Oswald should leave alive. Oswald knocks Barabra out as he makes an alternative deal with Jim. Barabra dies, he takes everything and Jim leaves free to think about Oswalds generosity. Jim asks what happens when the government finds out Oswald murdered the only cops left in Gotham? Oswald laughs because Jim has nothing to offer and he thinks they are out of ammo. Wrong! 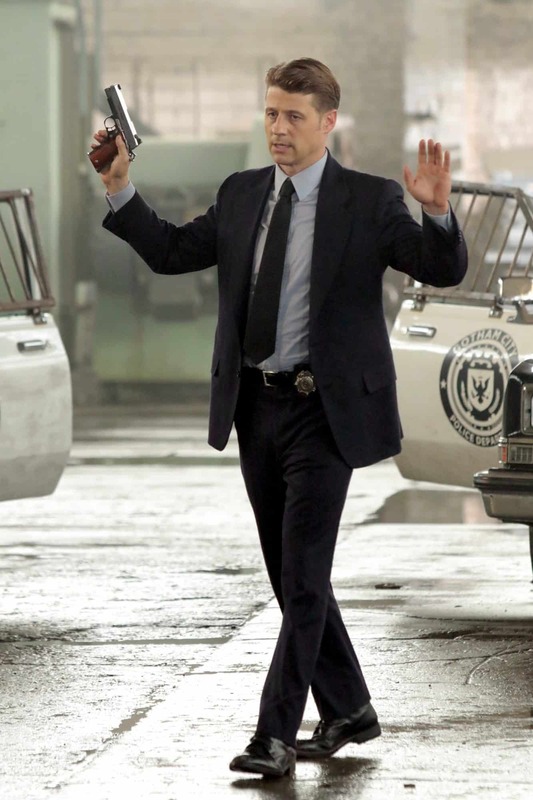 Harvey shoots two men and Jim shoots Oswald in the leg. Jim reveals the truth to Oswald as he was never going to make that deal as he needs all the supplies. As the supplies arrive at The GCPD Harvey questions why Jim didn’t finish Penguin and tells him to shoot to kill next time. Bruce is desperate for the medicine to get to the clinic for Selina. Jim thanks Bruce and tells him the next time he wants to help he just needs to ask as he has earned a place at the GCPD. A mask figure looks over Jim’s map of Gotham. This lady is familiar to us it’s Jeremiah’s assistant Ecco. Another lady’s voice comes over the radio wanting to contact Captain Gordon. Ecco listens and soon disappears as Jim hears the voice. Jim responds and asks who he is speaking too. The lady only gives him information about being allies across the river. Jim steps back from the table as he feels something behind him but it’s the map of Gotham that has his attention as Ha ha ha with a pair of eyes have been graffitied over it. Riddler wakes up in a dumpster. Another pin in the map and more fury as Riddler can’t work out what is happening to him. Riddler demands Ed shows himself as he wants to know why this is happening to him. Barabra kisses her dead friend Tabitha goodbye. Barabra places a silk sheet over Tabitha and she promises if it’s the last thing she does she will kill Penguin. A new revenge arc has started. Oswald is screaming with pain as the bullet is removed from his leg. Mr Penn is trying to advise Mr Cobblepot to keep still. Oswald grabs Mr Penn and is offering 100,000 rounds of ammunition to the person that kills Jim Gordon. Selina is alone when a nurse wheels a trolley into the ward with medicine and a scalpel. In a very hard scene to watch and showing just how desperate Selina is, Bruce arrives as she tries to take her own life. The doctor sedates her but Selina asks why they didn’t let her do it. With Selina asleep the spooky nurse from earlier appears and repeats to Bruce, the only way to cure Selina is by The Witch. Harvey applauds Saint Jim of Gotham. Jim wants Harvey to start collecting information on Jeremiah Valeska. Harvey hasn’t heard that name in three months why now? Jim calls it a hunch. Lucius updates information on the food supplies they now have six weeks and Jim is not giving up hope. A GCPD Officer was on duty at the Thompson Street barricade when he came across a young boy. The young boy is in rags and exhausted as he explains that he is working with his brothers and sisters over at a train track. Who he working for is killing them. He collapses and is taken to the clinic. Jim talks to the officers at the GCPD and asks if they are wondering why they are still there even though their own government won’t help them. It’s simple they give people hope. Hope that if someone is in danger people will come. The GCPD will come. Captain James Gordon orders everyone to suit up. Overall this was a thrilling start to the final season of Gotham. A few surprises and character evolving. I would rate this episode 9.5/10 it needed a bit more Alfred Pennyworth. Legend of the Dark Knight continues with the next episode called Trespassers. Gordon and Bullock investigate a location where several kids have been kidnapped. Barabra proves to be an unlikely ally to Gordon. Bruce looks into an alleged Witch with healing powers to Selina. 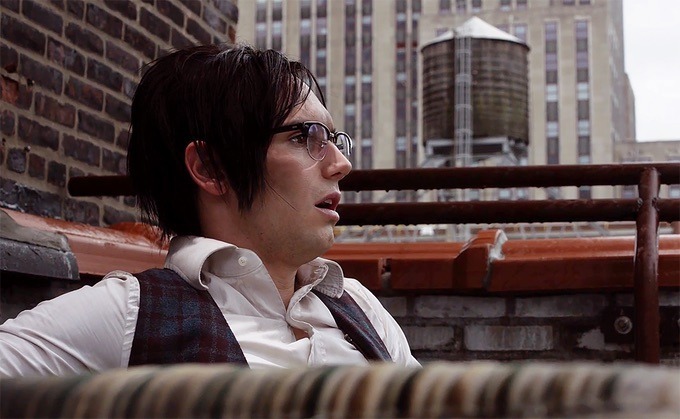 Nygma deals with his demons.